TREMONT, Bronx (WABC) -- Police are looking for a man as they investigate the shooting of a woman in the Bronx Wednesday morning. A 25-year-old woman had just left the 718 Lounge and Tapas Bar on the corner of East 180th Street and Webster Avenue in Tremont. An argument erupted as people were leaving the club, resulting in the woman shot. 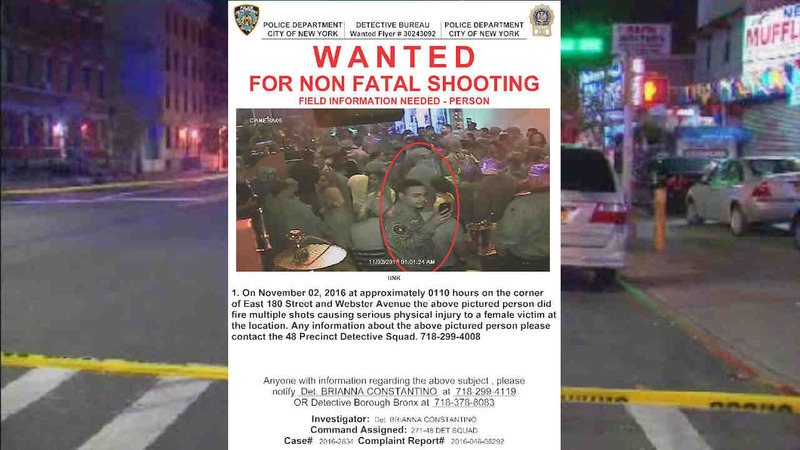 Surveillance video viewed by police shows the victim, who is from East Orange, N.J., running from the bar around 1 a.m., then collapsing. A four-door vehicle was spotted leaving the scene, but it is unclear if the vehicle is involved. She was taken to St. Barnabas Hospital in critical condition.